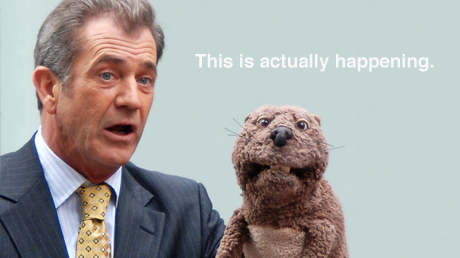 Now that Mel Gibson has yet again been confirmed as a homophobic, racist, abusive, sexist anti-semite, the fate of his Jodie Foster-directed comedy vehicle The Beaver seems uncertain in the US. Surely that premise is enough to excuse a little bit of (alleged) domestic abuse? UPDATE: So, apparently, none of this is true.